So you hear all these things about these amazing super foods that are so great for you. Which for a “normal” person is probably true, but when you have Gastroparesis you have no idea what you are getting yourself into. One of the super foods that we keep hearing so much about is avocado. Normally I am extremely diligent at researching the nutritious facts of everything that I eat to look for warning signs. However, the avocado is a super food and a fruit so it should be fine. For whatever reason, the fat content never even crossed my mind. Let me just say that thank goodness I only ate two small slices (probably no more than a quarter cup). Within five minutes, I experienced the worst stomach cramping of my life. Having Gastroparesis means that I have experienced my fair share of stomach cramps, so these being the worst is saying something. I couldn’t even stand up straight. I immediately said that we are going to the Emergency Room now. Usually I spend half the night writhing in pain before I admit that I need to go to the Emergency Room. Not this time. I wanted to get there ASAP. This is where I need to derail from the avocado situation and discuss my experience in the Emergency Room waiting room. Waiting rooms are always an interesting experience, but I have never wanted to vomit on someone so bad in all my life (with the exception of my third grade teacher but that is a story for another day). My fiance and I are in the waiting room. I am in yoga pants, an old shirt, slippers, glasses, uncombed hair in a ponytail, doubled over in pain in the ever so comfortable chair. I am also constantly getting up to excuse myself to the restroom to vomit. The older woman (about 60ish) across from us was dressed to the nines along with her husband who was also dressed quite nicely for being in an ER at 9 pm on a Thursday. This woman kept looking at me as if I was a drug addict going through the detox shakes. After one of my trips to the restroom, she rolled her eyes, gave me a disgusted look, and turned sideways in her seat so that she wouldn’t have to look at me. HELLO?! Sorry that I didn’t get the memo to wear my Sunday finest to the ER while I am vomiting and feel like my stomach is going through a ringer washing machine! She was so rude that I seriously contemplated vomiting on her fancy boots, but I really needed to see a doctor an couldn’t get thrown out. Now…back to the avocado. I kept my fiesty Irish roots in check and was eventually taken back to a room. Thankfully the doctors in this ER are familiar with Gastroparesis, so I didn’t have to go through the hour explanation of what it is. The doctor recommended some morphine and nausea medicine and an IV of fluids. Believe it or not, the morphine did absolutely nothing for the pain that these two slices of avocado were inflicting on me. All it did was make me ask for my dog and ask where she was. My poor fiance was sitting in what appeared to be the most uncomfortable hospital chair of all time and I was asking for my dog! (On another side note, we had to ask for a chair for him since there wasn’t one in the room. He was initially standing for awhile.) Eventually the doctor ordered some special medicine for me for muscle spasms. It had to be delivered to the Emergency Room so that took quite awhile, but it worked. Avocados might be a super food for most but it is super pain for me! This is why gp is insane lol! I eat avacados all the time with no problem! Wouldn’t it be nice if there was a manual to follow for everyone with gp?! I’m so sorry you went through that! I do too… I love avocados… it’s been two hears and one thing I can say for sure is that it isn’t a cookie cutter diet. I usually go to er in Jammies, it allows for my stomach to expand and cramp in comfort and I always get dirty looks too. Yes, gp is insane.lol I also do ok with avocados for the most part. Every now and then I will still get a flare even on my safe foods. The only way we can expand on our small list of safe foods is to experiment and try. 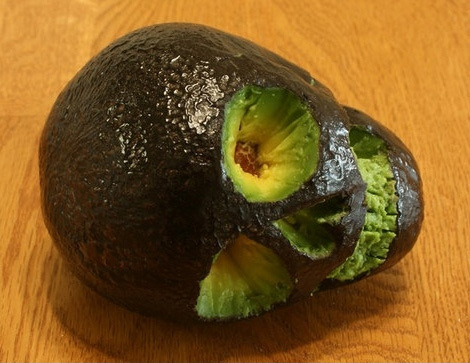 Now you know avocados are your no no food. Sorry it made you feel so bad. Don’t let this stop you from trying to expand your list. Glad you are able to enjoy them!! Omg, avocados make me sick. I get horrible stomach pain. You can eat shrimp, buffalo sauce, and fried foods, but can’t have avocados??? Fried foods are generally a no go. Avacados are a guaranteed trip to the ER.